ST. GEORGE – Supporters of former Dixie State University professor Varlo Davenport showed up Wednesday morning at the Washington County Justice Court, 87 N. 200 East in St. George, to support the man they believe has been wrongly accused; Davenport goes to trial Wednesday on a class B misdemeanor assault charge brought by the City of St. George. 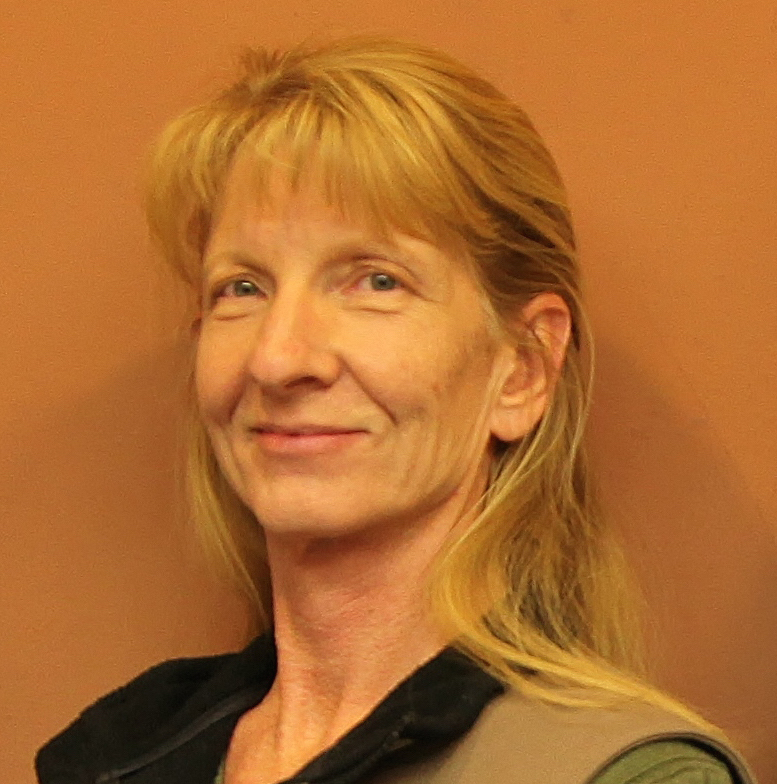 The “Stand with Varlo” gathering was publicized through a Facebook event page and supporters planned to meet at the courthouse at 8 a.m.
Davenport supporter Cathy Ford echoed the sentiments of Scott. 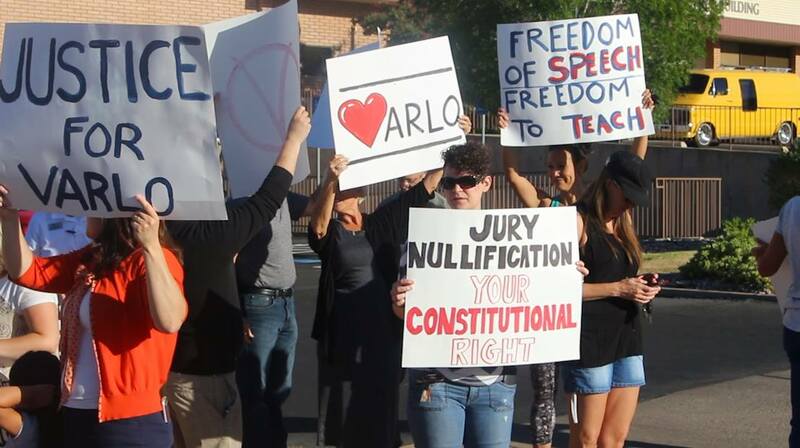 At a hearing Monday, St. George City Attorney Robert Cosson expressed concern about “jury intimidation,” and Judge Karlin S. Myers ordered that “any rallies be limited to the public sidewalk area so potential jurors do not have to walk through them,” according to court documents. Davenport, a 15-year-tenured theater professor, was fired from Dixie State after a student alleged he assaulted her during a classroom acting exercise. A faculty review board cleared Davenport and recommended he be reinstated. However, Davenport was charged with a single class B misdemeanor assault by the City of St. George. The Dixie State faculty senate also voted to clear Davenport, said his attorney, Aaron Prisbrey. Supporter Bradley Cox said he found the lack of due process for Davenport disturbing. 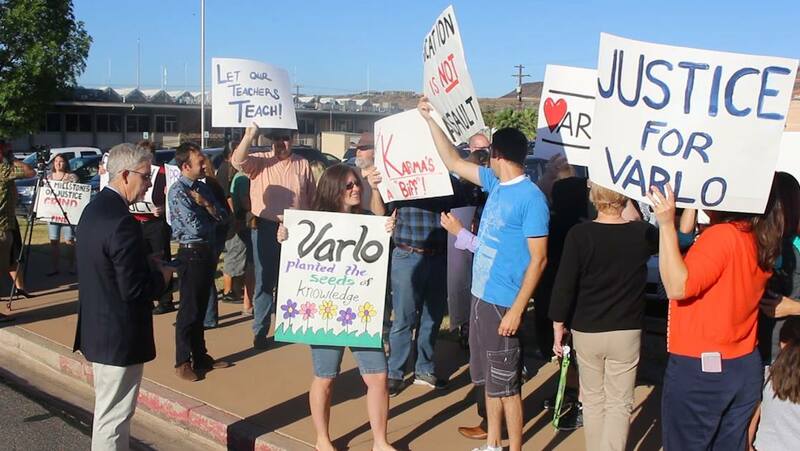 Many have tried to stop and stall the justice process but Varlo will finally get his day in court and have a chance to fairly defend himself. 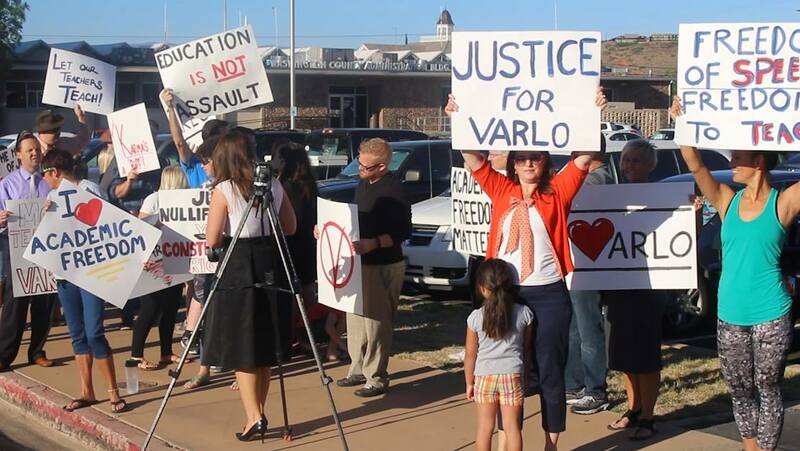 On July 13th at 8 am supporters are gathering at the St. George Justice Court located at 87 North 200 East to rally for Varlo and show everybody walking into that courtroom what a beloved teacher, friend, and mentor Varlo is. 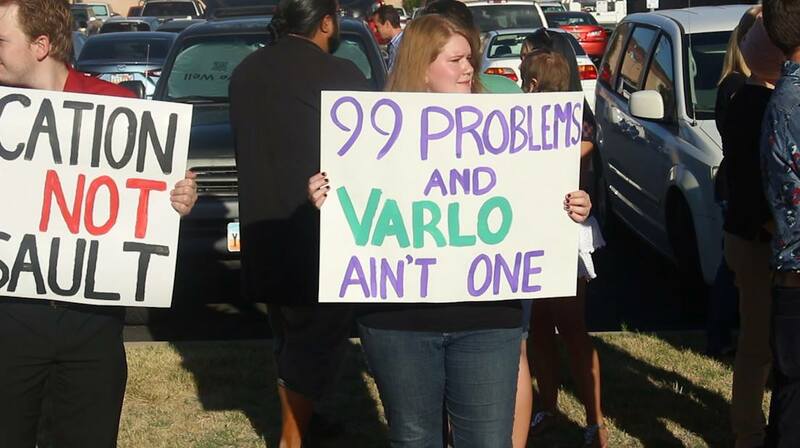 Imagine Varlo getting a big smile as he sees people who love him gathered to support. Imagine the look of shock and embarrassment the prosecution will have on their face when they face the reality that the man they’ve wrongfully and publicly accused is loved and adored by many. Davenport said he wasn’t certain what the day would bring but expressed relief to have the trial underway. “I’m just glad we’re finally at this point we can move forward,” he said. See Wednesday morning interviews with Davenport and supporters in video top of this report. At Monday’s hearing, the judge also quashed a subpoena for St. George City Councilwoman Michele Randall. Previously, Myers denied attorney Aaron Prisbrey’s request for subpoenas for several other witnesses including Dixie State University President Richard Williams, DSU Director of Public Relations Steve Johnson, department chair Mark Houser, Vice President of Student Affairs Frank Lojko and Utah Assistant Attorney General Michael Carter. However, Myers said the potential witnesses will be standing by, an arrangement Prisbrey objected to vigorously. Davenport’s jury trial was scheduled to begin at 9 a.m. Wednesday and is expected to last two days. St. George News reporter Don Gilman contributed to this report. “Varlow’s Life Matters!” GO FALCONS!